Banffshire & Buchan Coast MSP Stewart Stevenson has been re-selected to stand as the SNP’s candidate in next year’s Scottish Parliament elections. Local party members endorsed Mr Stevenson as their candidate for the constituency in a process which saw all of them being consulted on who they wanted as their candidate. Stewart Stevenson was elected as MSP for Banffshire & Buchan Coast with over 67% of the vote in the 2011 election. Prior to that, he had represented the former Banff & Buchan constituency – which had radically different boundaries – since 2001. “It has been an enormous privilege to serve the people of the Banffshire & Buchan Coast Scottish Parliament Constituency, and I am very grateful to the local party members for their endorsement. “The SNP now has over 1400 members in the constituency and each and every one of them were given the opportunity to be involved in the process. "The SNP’s structures are based on one-member, one-vote and, unlike some other political parties for whom democracy seems to be causing some problems, SNP members have the opportunity to vote for candidates, national officials, elect the committee that sets conference agendas, shape policy and speak on issues at our conferences. “I believe that involvement is key to the SNP’s success and I am keen to develop further how we engage with our members. “I’m looking forward to meeting with as many people as possible between now and the election and I know that the SNP’s team of activists locally are keen to get started. In the meantime, it’s business as usual for me with Parliament resuming this week and a round of surgeries later in September." Stewart Stevenson, SNP MSP for Banffshire & Buchan Coast is welcoming £260,000 of funding announced today (Wednesday) for Aberdeenshire to improve the learning environment in our schools and allow for greater partnership working between schools and colleges. The money from the Inspiring Learning Spaces fund will be used to remodel four classrooms to create innovative teaching and learning environments that are flexible and motivating. “This latest funding underlines the SNP government’s commitment to ensuring every child receives a world class education and will create the modern and creative new learning spaces we need to achieve this. “The SNP already has a strong record of delivery on schools - since 2007, the 520 schools across Scotland have been built or refurbished. 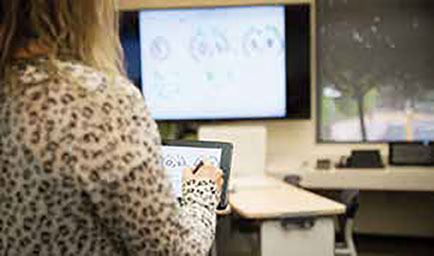 The Inspiring Learning Spaces fund encourages the creation of spaces for flexible learning and allows closer partnerships between schools and further education, in line with Curriculum for Excellence. The fund complements the £1.8 billion Scotland’s Schools for the Future programme. 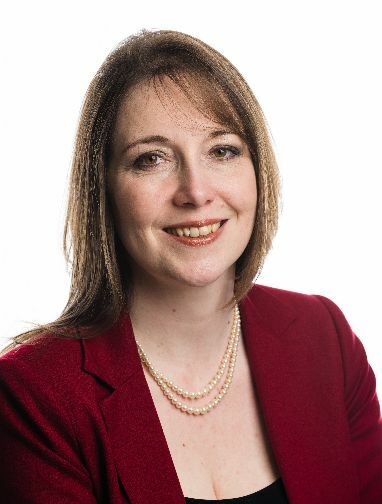 Banff & Buchan MP Eilidh Whiteford, and Banffshire & Buchan Coast MSP Stewart Stevenson have written to the UK Government’s Secretary of State for Business, following the UK Government’s involvement in a reported offer of £1.34m in funding to Young’s Seafood’s Grimsby site. It has recently emerged that North Lincolnshire Council had worked with the UK Government to devise a £1.34 million funding package to persuade the company to move jobs from Scotland to Grimsby. It is understood that the money comes from unused cash in the area’s Regional Growth Fund. However, Scottish politicians were quick to cast doubt on the funding package, highlighting European Union State Aid rules which place strict limits on the direct financial support governments can offer to companies. Dr Whiteford and Mr Stevenson have now written to the UK Government’s Sajid Javid, the responsible minister, asking him to publish greater detail about the offer and clarify if the UK Government has sought advice on whether the funding would breach state aid rules. Stewart Stevenson, SNP MSP for Banffshire & Buchan Coast, has congratulated a handful of local businesses and groups that have been shortlisted in the 2015 Aberdeen City and Shire Tourism Awards (ACSTA). Across Banffshire and Buchan Coast, those shortlisted include Durn House, Portsoy for Most Hospitable B&B/Guest House; High Seas Hobbits in Fraserburgh for Best Holiday Accommodation; Buchanhaven Heritage Society in Peterhead and The Spotty Bag Shop in Banff for Tourism; and Macduff Marine Aquarium in Macduff for Best Visitor Attraction. The nominees across 14 categories will face a further round of judging before the winners are revealed at an awards ceremony later this year. The winners will be announced at an awards ceremony and dinner to take place on November 27 at the Ardoe House Hotel and Spa. Stewart Stevenson, SNP MSP for Banffshire & Buchan Coast has welcomed the news that £19,899 has been awarded from Awards for All Scotland to Boddam Primary School and to Portsoy District Community Association in his constituency. Boddam Primary School will use their £9899 grant to develop the primary school playground. Portsoy District Community Association plan to invest their £10,000 award in replacing the AstroTurf in the local community sports hub. “I am absolutely delighted that these two groups in my constituency will benefit from Awards for All Scotland funding totalling £19,899. “Boddam Primary School will be able to use the money to make the playground more interesting and fun for the school pupils, and Portsoy District Community Association will make a fantastic contribution to the local sporting community by replacing the AstroTurf at the community sports hub. The local projects are among 131 across Scotland sharing £1 million of National Lottery funding from Awards For All Scotland. Scottish Government Ministers today convened a second stakeholder meeting in relation to the future of Young's Seafood’s plans for their Fraserburgh and Grantown-on-Spey sites. The meeting, involving government officials, the company, trade union representatives and local politicians, came on the same day as an apparent funding offer to Young's by the local council in Grimsby. However, serious concerns have been voiced that the funding package on offer in Grimsby would be a breach of EU State Aid rules, which regulate how much direct funding can be provided to private enterprises. MSP for Banffshire & Buchan Coast, Stewart Stevenson, sought a commitment from Scottish Ministers that an apparent difference in legal interpretations in England and Scotland would not disadvantage Fraserburgh. Scottish Minister Fergus Ewing confirmed that his officials would continue to work to protect Fraserburgh's interests and make a compelling case for continued employment at the Young’s site in the town. "This is a deeply worrying time for all who work locally for Young's and we need uniformity in the application of EU rules. It would not be beneficial to the company if they found themselves in breach of state aid rules." "I was pleased to hear that the work undertaken by the Scottish Government in the last few weeks has identified savings which could exceed a million pounds at Fraserburgh. "This is the real and practical assistance which can make the difference to a company like Young's decision-making. I am grateful for the efforts of all who have been involved so far." Stewart Stevenson, SNP MSP for Banffshire & Buchan Coast, has met with Aldi to discuss their development plans for the Kirkburn Mill site in Peterhead and is delighted at the progress being made. Mr Stevenson met with Aldi property director Robert Stoddart on Friday 7th August. Mr Stoddart who is managing the Peterhead site expects to submit a planning application to Aberdeenshire Council for the site by the end of the month. “Following a very productive meeting with Mr Stoddart, I am delighted that Aldi considers this site to be incredibly viable and will be moving forward with their plans in the next few weeks. Aldi confirmed that it was in their interests for this second retail area to be sold off as soon as possible, and that they would be able to use the car parking already created on site, if the plans go through. Phase two of the project for the rest of the land would then be put into action. This land is currently allocated for retail use, but this will expire in November with the opportunity for other uses on the site to be created. If built, the new Aldi store will create 35 new jobs. Fighting Fit Stevenson Takes on Banff Rugby Club's Best! Local SNP MSP Stewart Stevenson was challenged to prove his fitness whilst visiting the trade stands and stalls at Turriff Show earlier this week. The MSP was visiting the Banff Rugby Club stall and was challenged to “win his weight in beer” as part of the club’s fundraising activities. Never one to shirk a challenge, Stewart took off his jacket and got to work on a rowing machine, the object being to see who could ‘row the furthest’. "The prospect of winning my weight in beer was interesting, but the chances of beating large, fit rugby players remote. “I was absolutely delighted that as one of the lighter contestants, I was able to get on the leader board and given that the payout would be smaller, I received enthusiastic encouragement from club members manning their stall at Turra Show. “If the person who ultimately won needs assistance with their prize, I stand ready to assist. Well done to the rugby club on coming up with an innovative and entertaining way to raise money." Banffshire & Buchan Coast MSP Stewart Stevenson has welcomed progress on the new dredger for Moray Council, being built in Buckie. The £2.4million vessel is under construction at the Macduff Shipyard Ltd fabrication facility in the Banffshire town. Work on the 25.7m (90ft) dredger is expected to be completed next spring. It will service the council-owned harbours at Buckie, Burghead, Hopeman, Findochty, Portknockie and Cullen as well as being available for hire. The vessel is being built as a replacement for the Shearwater, which the council sold two years ago after many years of service. The new dredger, which was designed by Macduff Ship Design Ltd, will be capable of dredging to a depth of 8m (27ft) with its bow-mounted excavator. Local MSP Stewart Stevenson has welcomed new figures which show more than 176 additional nursing and midwifery staff have joined NHS Grampian over the last year (full time equivalent). The latest figures follow last month’s announcement that 19 extra consultants have joined the organisation, bringing the total number hired since April 2014 to 28. NHS Grampian Chief Executive Malcolm Wright pledged that the organisation would continue to build on the recent successes and said it is committed to providing the highest standards of care in Scotland. “This is very welcome progress from NHS Grampian. The new Chief Executive has set the organisation the right challenges and to meet those, it needs to ensure it has the staff numbers in all of its facilities. “We know that we have a problem in the North-east in terms of attracting certain categories of professionals, health workers certainly, but also in teaching and other professions. The jobs are here for people who are qualified and want to come here. The real question is: what can we do to make more people want to come here? Work is ongoing with the universities to address this, which is very important. Stewart Stevenson, SNP MSP for Banffshire & Buchan Coast, is delighted at the news that world famous comedian Eddie Izzard will be performing at Banff Academy this Saturday and giving half of the proceeds to the local community. Tickets for the one-off performance are selling fast for the comedian who is currently working in Portsoy on a remake of the Scottish comedy, ‘Whisky Galore’. Mr Izzard has also said that he will donate half of the money made from the gig to Banff Academy and to the Portsoy Scout Hut Fund. 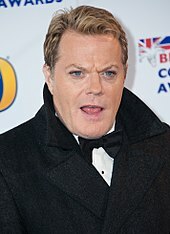 In 2009, Eddie Izzard completed 43 marathons in 51 days to raise more than £1.8 million for Sport Relief. Stewart Stevenson, SNP MSP for Banffshire & Buchan Coast, has welcomed the first meeting of the Scottish APD stakeholder forum today (Thursday) chaired by Deputy First Minister John Sweeney and Infrastructure Secretary Keith Brown. The meeting is part of the Scottish Government’s commitment to cutting APD by 50 per cent during the lifetime of the next parliament. There will also be a policy consultation launched on Scottish APD this autumn. Last year the Smith Commission recommended that power to control APD should be devolved to Holyrood via the Scotland Bill, which is currently being considered at Westminster. “APD has long put Scotland at a disadvantage by stifling the country’s tourism industry. Other European countries have already abolished this tax, and the money lost by doing this would be paid back through the tourist and business sectors, stimulating growth in the Scottish economy. The APD stakeholder forum brings together interested parties – from those in the aviation industry to environmental groups and tax practitioners – to provide expert input into how a replacement tax could work. The SNP has welcomed the announcement of a ‘quick to market’ route for fresh produce caught up in delays at the Channel Tunnel – which will protect Scotland’s vital seafood export sector. Following representations from the Scottish Government, a scheme will be operated by Kent Police to prioritise fresh produce caught up in the delays at Calais. “This is very welcome progress which will be a real boost to seafood exporters – and I am very pleased that the Scottish Government’s representations on the issue have been heeded. Stewart Stevenson, SNP MSP for Banffshire & Buchan Coast, has welcomed figures published today (Tuesday) showing that more than one million home bowel screening tests in Scotland have been returned over a two year period. For the first time, more than a million people in Scotland invited for screening over two years - between November 2012 and October 2014 - successfully completed and returned their testing kits. Uptake between those dates was 57.6 per cent, with around 26,000 more kits returned compared to the period November 2011 to October 2013. “I am greatly encouraged by these latest figures on the uptake and return of home bowel screening test kits. This test is the most effective way to detect bowel cancer early – at a time when it can often be cured. The largest increase in uptake was in the most deprived 20 per cent of areas – an increase of nearly two percentage points compared to the previous two year period. Of those who completed their kit, two per cent received a positive test result and of those, 6.9 per cent had bowel cancer. It has been shown that nine out of 10 people will survive bowel cancer if it is detected early.